We are heading over to the bat cave now. 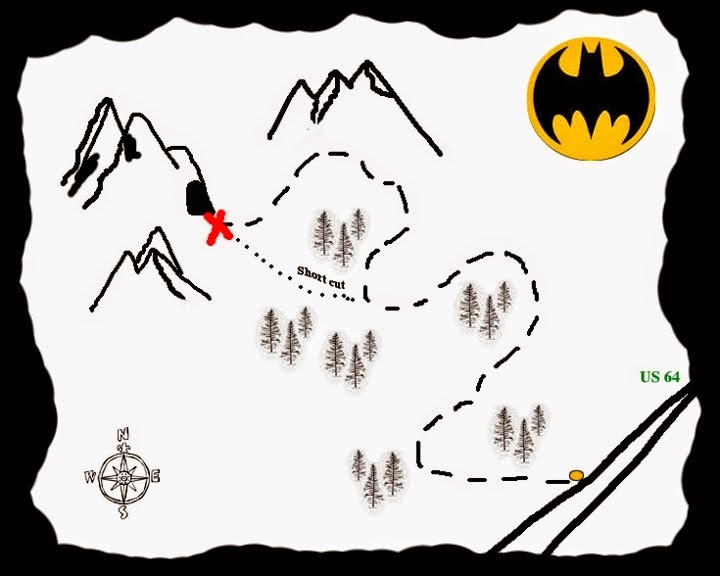 Ranger provided this map to the bat cave. Oh we loves that car, do you think gussie could take it for a spin now that he has his CDL license? Aw, you both look so cute!! I hope you have a great time!! Talk about talent Mom you have it with the computers!!!! Love you all in that cool Bat-man car!!!!!!!! Brilliant. Love the bat-mobile. Have a fabulous Friday. Oh wow that's a super cool ride and a fabulous hairstyle! Sweet ride, you guys! Follow that map carefully! Have a great weekend at the Bat Party! It is rocking and rolling over here!! OMD!!! You guys look FABulous!! And that car....SHAZAAAAM!!! The pawty is rocking in the cave! Love the car and the hair! Fabulous wheels! See you there! WOW Edward..... YOU gotted to DRIVE the Batmobile... I (Ernie) Can't believe that... Will you take me fur a spin????? I can't be gone long though beclaws I gotta play another set... and I gotta get the band gathered up. WOW, do you two look GREAT!!! I'd love to ride shotgun in THAT car! Awesome Batmobile! Don't drink too much Bowser Beer if you are driving! It are one pawsome pawty! My boys want to go too! They asked me to ask you if you could swing by and maybe pick them up, but I told them it would be out of their way. They're disappointed they can't join in the adventure, but are excited to read all about it. See you at the Bat Cave! 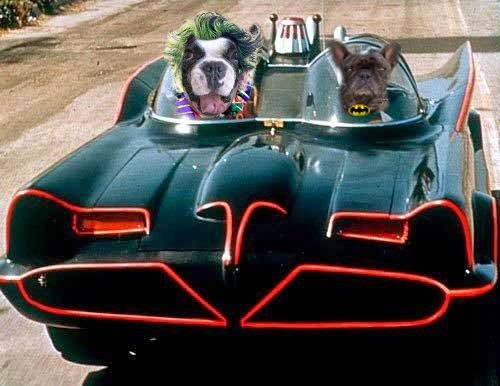 To The Bat Cave, Joker Lily and Batman Edward! 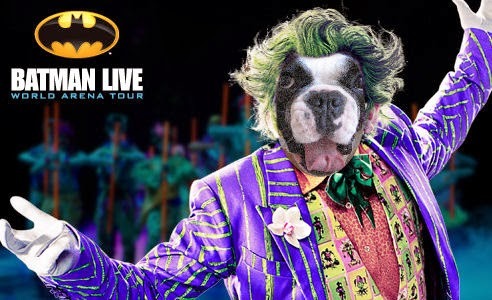 Hurry before The Riddler catches up w/ you! Woo Hoo!! wow ! what a cool car! does it go fast!!!!!!!!!!!!! ?